 Stream the highest quality music by track, artist, or album - ad-free. 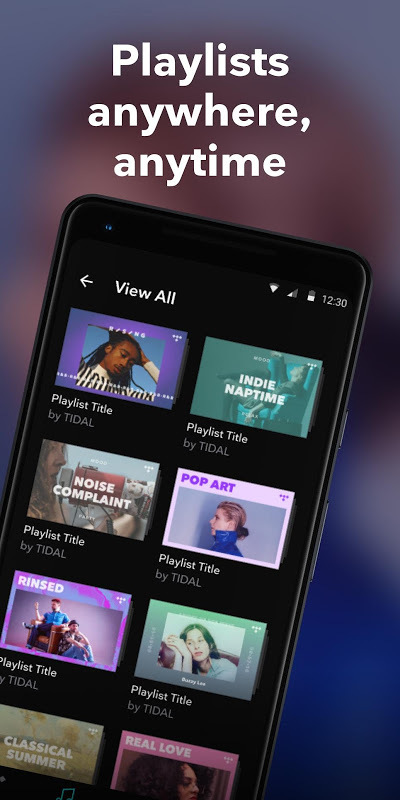 Stream your favorite songs and discover new music on TIDAL with the largest streaming catalog available, completely ad-free. TIDAL members can download tracks and music videos to listen to and watch offline. TIDAL is an artist-owned global music and video streaming platform that values bringing artists and fans together through exclusive music, livestreams, and content experiences. TIDAL is a premium, music streaming subscription service. Try 30 days free and cancel at any time. Read below why we're the best sounding music entertainment platform in the industry: Stream your music From pop and hip-hop to rock and Latin, play your go-to albums and discover new songs with our unparalleled Hi-Fi catalog. Create a playlist or try one of ours – hand-curated by music editors and the artists themselves. Even listen to a radio playlist based off of a certain track. Highest quality audio available No compromises. Just pure audio and video. 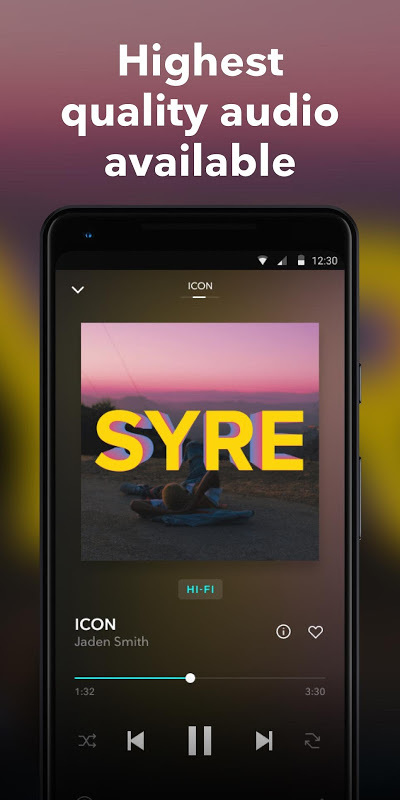 With the TIDAL app’s lossless audio experience and Hi-Fi sound quality, stream pop, rap, rock, hip-hop, Latin and more the way the artists intended – or listen offline. Anytime. Anywhere. Download your songs and take them with you offline – even without WiFi or LTE. Use the app to listen to whatever Hi-Fi album, playlist, Latin mix, or radio station you’ve kept on repeat. Completely ad-free Stream music the way artists intended with no interruptions – from pop songs and albums or our hand-curated playlists. TIDAL for Android TV Get the same TIDAL sound and video experience, directly on your television. Stream exclusive music videos and concerts in stunning HD. 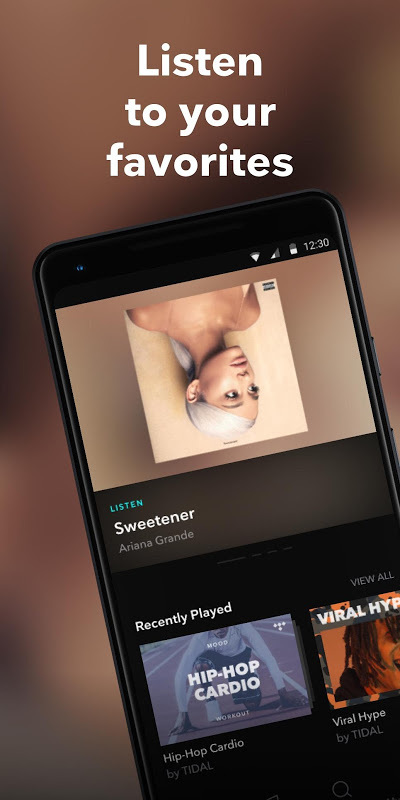 TIDAL for Android TV is designed to provide the best audio and visual experience possible on large screen devices. Artists at work here Celebrate artists and music insiders with hand-curated playlists, original podcasts, artist interviews, video series, and behind-the-scenes documentaries. From Latin staples to new figures in pop and rock, TIDAL takes a deep dive into sound. Exclusives Be the first to livestream music and videos you can’t get anywhere else. 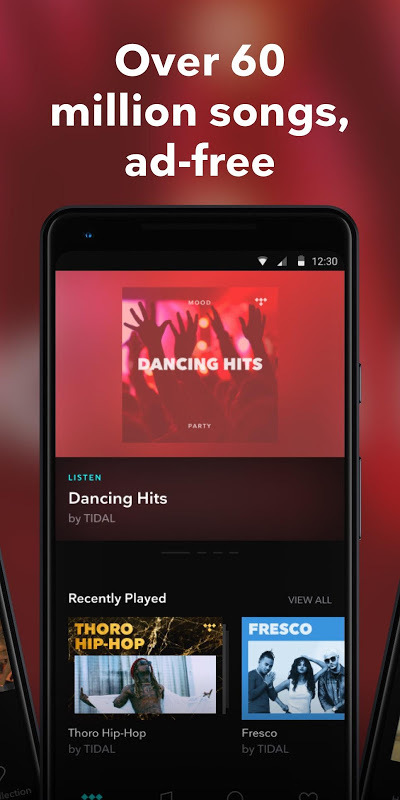 Take new music with you offline, or stream TIDAL’s New Releases playlist. Be our plus one Whether we’re livestreaming a concert or hosting an exclusive music event, TIDAL X ensures members get access to music events. TIDAL X events showcase music from rock, rap, Latin, hip-hop, and every genre in between. Import your playlists Easily transfer playlists to TIDAL from any streaming service and directly from your files. Download your favorite rock albums, pop songs, Latin artists, or rap tracks to listen offline without WiFi.  Is TIDAL Music - Hifi Songs, Playlists, & Videos yours? Claim it!